Save for a few politicians, the answer to one question could predict with near exact precision whether an individual who testified at the public hearing for a proposed runway extension at the Aurora Airport supported or opposed the idea. "Do you have business ties to the airport?" Out of over 50 people who testified at Wilsonville City Hall Tuesday, Nov. 27, more than half expressed support for the Oregon Department of Aviation's $37 million federal grant application to extend the airport's runway from 5,000 to 6,000 feet — and the overwhelming majority of those supporters work in the aviation industry, at the Aurora Airport or rely on the airport for business. Contrastingly, more than 20 people expressed opposition to the application, the vast majority of whom live near the airport and don't have business interests there. "The airport is an economic engine for the City of Wilsonville and is a key factor in the success of our companies," Wilson Construction Company employee Nichole Mancilla said at the hearing. The hearing took place just weeks before the Oregon State Legislature's Emergency Board will likely decide whether to approve the federal grant application. If approved, the ODA would submit the application to the Federal Aviation Administration, which would then choose between applicants from around the country vying for a portion of the $1 billion fund. At a Sept. 24 Emergency Board legislative hearing, many legislators expressed support for the extension but the Board voted to allow Oregon Solutions, a Portland State University mediation program, to mediate the dispute between proponents and opponents before making a decision. City of Wilsonville representatives, including Mayor Tim Knapp, have been some of the most vociferous opponents of the runway extension, citing a lack of public involvement and impact analysis in the decision making process and a potential exacerbation of traffic issues in Wilsonville due to a potential influx of corporate jets that could fly into the airport because of an extended runway and workers to support the growth. After Oregon Solutions decided to draft a report for the Legislature rather than host a mediation session, the City agreed to host the public hearing. City representatives also wanted to show their commitment to transparency after State Senator Fred Girod accused the City of illegally discussing the extension during executive sessions. At the hearing, proponents of the extension included Leann Bennett and Bruce Bennett — who said they own property at the airport — as well as representatives of Wilson Construction (which has business ties to the airport), pilot Tod Coombs, David Waggoner of Willamette Aviation, and Oregon Aviation Industries Executive Director Jake Jacobs, among many others with similar interests. Also, state Rep. Julie Parrish, Wilsonville City Council-elect Ben West and Canby Mayor Brian Hodson expressed support for the extension. Though some acknowledged that the current runway is fairly safe and that there isn't a history of accidents at the airport that were caused by the runway length, the pilots who testified said the extension would make landing and taking off at the airport safer. "99.9 percent of time we operate aircraft in efficient manner. It's that .1 percent we are addressing," said Ron Hughes of Van's Aircraft. "An extra thousand feet means everything, especially when the weather is tough and maybe you didn't approach the airport in the exact proper way," pilot Mark Boyd said. Proponents also stated that the extension could bolster emergency relief efforts. Brett Vaughters — who works at Wilson Construction, lives in Wilsonville and said he has provided emergency power restoration following natural disasters — said airplanes are important for the transportation of medical supplies and airports can serve as staging areas for emergency responders. In turn, he said local communities could benefit from a larger and safer runway extension. "It was the communities closest to the airports that benefited most from those staging areas," he said. Proponents also championed the airport's economic impact on Wilsonville and other surrounding communities, said the extension could generate more jobs and economic activity in the region and that preventing the grant application from being submitted would be a missed opportunity for the state to garner federal funding without a state matching requirement. jobs and long-term aviation jobs." Wilsonville resident Doris Wehler criticized the City for advertising the hearing as being for an Aurora Airport "expansion" rather than simply a runway extension while Wilsonville Chamber of Commerce CEO Kevin Ferrasci O'Malley uttered one of the strongest rebukes of the City's position on the extension. 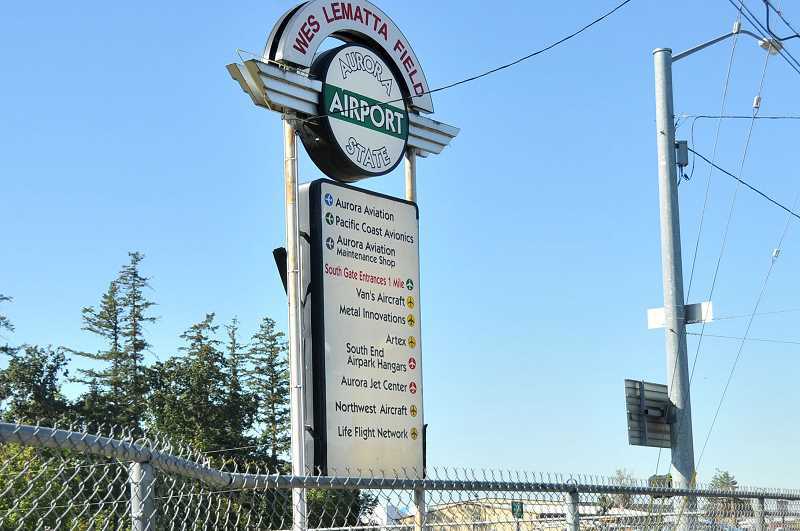 "To continue to be obstructionist when it comes to the grant request sends out a signal to the business community: you are anti-airport," he said. Charbonneau residents, many of whom live near the airport and hear planes flying over their homes daily, made up a large contingent of detractors. "The noise impact on Charbonneau is only going to be increased if it expands," Charbonneau resident Pat Hickman said. "It's already a problem now." Similar to the City's view, some people felt that there haven't been enough opportunities for the public to weigh in on the grant application while others castigated the lack of an environmental impact study. Also, some said the airport should be incorporated into a nearby municipality prior to the extension so that the area could better handle growth. I think are absolutely required." And many residents living near the airport felt that the extension would not benefit the majority of constituents, but, rather, a moneyed minority. "Who is going to benefit from airport expansion? I expect the average resident will find little benefit from it and, more, I expect a very select group of wealthy individuals with jets that might not live in this community will benefit," Wilsonville resident Katie Farrell said. The City of Wilsonville planned to submit the testimonies to Oregon Solutions, hoping that they could be reflected in the program's report to the Emergency Board.